Blondie and Brownie: Let the Ice Cream Training Begin! But you can't just go out to San Francisco and eat all that ice cream! No, there is training involved. Yes, I am now in the midst of training for some crazy ice cream times. 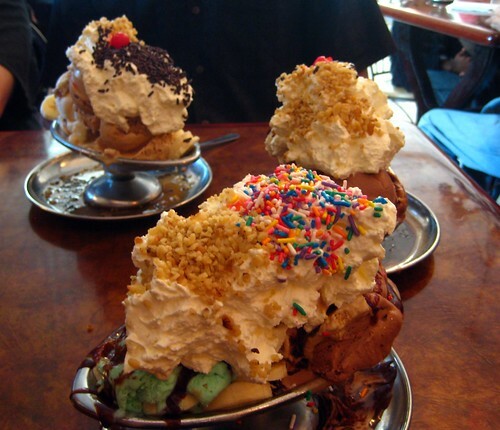 My first mini-challenge was the Banana Royale from Eddie's Sweet Shop in Forest Hills. Three scoops of ice cream with sliced banana, whipped cream, sprinkles, dry nuts, and a cherry. Not what I'll be up against come November, but I've got to start somewhere. At Eddie's, I chose the Mint Chip, Coffee Chip, and Chocolate with Hot Fudge. Now I can see why it's a Queens institution: their homemade ice cream is fresh, creamy, just sweet enough, and absolutely delicious. 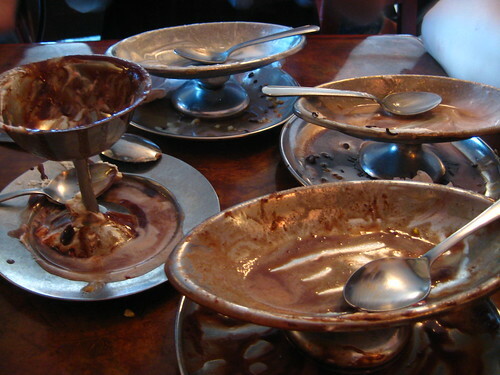 And the hot fudge is too die for! I could drink a whole bowl of that alone. So delicious was my sundae that I didn't mind finishing my bowl and drip plate, success! Lesson learned: having different flavors definitely matters in avoiding palate fatigue. And I could have eaten more! On to the next mini-challenge! you haven't lived until you walked from the Elmhurst Ave subway to Eddies! 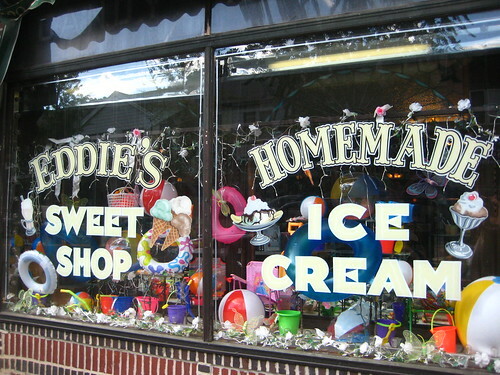 I seriously could die for amazing hot fudge...will have to check that out. So glad the rest of us get to reap the benefits!